Chris Pine stars in Outlaw King (2018, R) as Robert the Bruce, the 14th century Scottish nobleman who claimed the crown of Scotland and rallied his country to battle the occupying British army of King Edward I. It’s directed by David Mackenzie, who previously collaborated with Pine on Hell or High Water, and shot entirely on location in Scotland. Aaron Taylor-Johnson and Florence Pugh co-star. It made its world premiere at the Toronto International Film Festival and opens in select theaters the same day it debuts on Netflix. Pixar’s inventive superhero adventure/comedy Incredibles 2 (2018, PG) celebrates courage, family, and the challenges of raising a baby that can teleport, catch fire, and shoot lasers from his eyes with lots of zippy action and goofy gags. On Cable On Demand and VOD, also on DVD and at Redbox. Spike Lee returns to form in BlacKkKlansman (2018, R), a savvy take on the true story of a black police officer (John David Washington) who infiltrated the Ku Klux Klan in 1970s Colorado. It’s provocative, satirical, angry, irreverent, outraged, and very timely. Cable On Demand, VOD, DVD, Redbox. John Leguizamo’s Latin History for Morons (2018), a recording of the actor’s one-man Broadway show, distills 3,000 years of Latino history into a 95-minute comic monologue. On Netflix. Classic pick: Sean Connery and Michael Caine are British soldiers of fortune in The Man Who Would Be King (1975, PG), John Huston’s grand adaptation of the sweeping Rudyard Kipling adventure. Reviewed on Stream on Demand here. Streaming on Amazon Prime Video. Foreign language pick: Jean Vigo’s anarchic gem Zero for Conduct (France, 1933, with subtitles) celebrates the rebellious spirit of adolescent boys captivated by magic tricks and word games. Set in a strict boy’s school run by creaky, cranky petty tyrants, it’s a strange and wonderful film full of unbridled imagination, flights of fantasy, and delirious images. The first masterpiece of pre-pubescent self-actualization. On Prime Video. Holiday essential: Every time you watch It’s a Wonderful Life (1946) an angel gets its wings. Prime Video also offers a colorized version but please watch it in the original black and white. The opening sequence of Outlaw King screams out one thing loud and clear: Forget about Netflix! Yes, we’ve just seen the corporate logo onscreen, but director David Mackenzie immediately launches into a bravura sequence that bombards us with big-screen movie-ness: In one complicated, unbroken shot—maybe seven or eight minutes long?—we watch political allegiances forged, hand-to-hand combat between crown princes unleashed, and the apparatus of war (a gigantic catapult that tosses flaming bombs at a faraway castle) fully engaged. This movie was produced for Netflix, but Mackenzie trumpets the largeness of its scope in no uncertain terms. 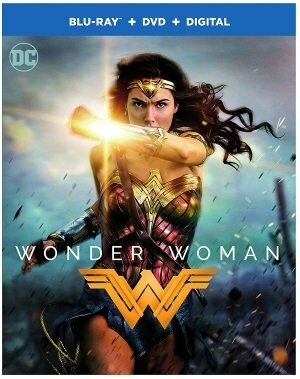 Wonder Woman (2017) is, if you’ll pardon such an obvious comment, a wonder of a superhero movie, a film that doesn’t transcend the genre but most certainly sets a high bar, especially next to the ponderous, humorless films of the new big screen universe of interconnected DC Comics heroes. 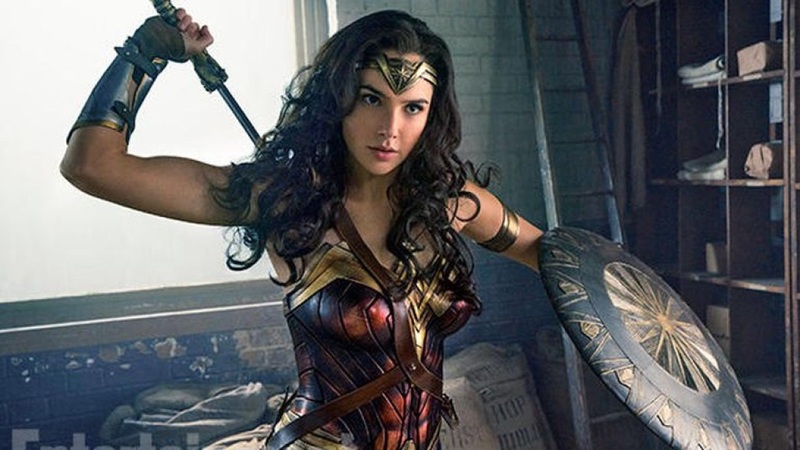 Gal Gadot debuted as Amazon princess warrior Wonder Woman in the turgid Batman v Superman: Dawn of Justice and brightened the film immediately. The spirit we glimpsed there carries this origin story, which sends us back to the 1910s and the hidden island paradise of the Amazons inadvertently invaded when American pilot Steve Trevor (an earnest yet spirited Chris Pine) flies past the invisibility field and crash lands on the beach, the first man ever to set foot on the island. Diana is intrigued to say the least but more compelled by news of a world at war and, after the inevitable assault by German forces after Trevor, is convinced of her purpose: stopping the god Ares from destroying all of mankind through warfare. She leaves the island against the wishes her mother (Connie Nielsen, commanding and regal). Steve’s not so convinced of that stuff about ancient gods and eternal Amazons but he has no doubt as to her abilities as a warrior or her commitment to justice and he knows a valuable ally when he meets one. Continue reading at Stream On Demand. The crucial masterstroke of Into the Woods is that the fairy-tale happy ending comes halfway through the action. What exactly becomes of Cinderella after she settles in with her Prince? Does Jack miss the adventure of climbing up the beanstalk? Does Little Red Riding Hood ever dream about the Wolf? Such questions fuel the wickedly amusing 1987 Broadway musical, with songs by Stephen Sondheim and book by James Lapine. Cue the irony, then, that Sondheim’s sly modern classic has been taken up by Disney, history’s busiest purveyors of the happy ending. Sondheim and Lapine were both involved in the film, and if many things have been cut or altered, a bit of a subversive message still peeks through (and some key characters die along the way). Into the Woods presents a crowded roster, with Meryl Streep earning top billing as the Witch, the blue-haired crank who sets things in motion. Streep’s opening scene is pretty glorious, as the actress stalks around the Baker’s shop, spitting out the backstory and laying down a curse. Maybe the bar wasn’t set especially high, but let’s not dampen the rare, humble pleasure of declaring that a sequel is better than the original. Horrible Bosses 2 is looser and funnier than its 2011 predecessor; and if its R-rated comedy misses as often as it hits, at least the timing is there. The first film’s trio of losers—played by Jason Bateman, Jason Sudeikis, and Charlie Day—is now trying to go the self-employment route by creating a new bathing gadget. But their idiotic invention, the “Shower Buddy,” brings them into partnership with a corporate shark (Christoph Waltz) and his conniving son (a manic Chris Pine, from Star Trek). When the boys get screwed over, their response is to kidnap the son and hold him for ransom.